Keeping your home clean often feels like a full time job, especially when you throw in kids, pets and weekends nesting on the couch. As with all jobs, it pays to work smarter — not harder — and we all use little tricks that help us do just that. Coca-Cola: Usually the cause of sticky messes, Coke also cleans rust off silverware and stained coffee pots It’s as easy as filling a cup with one can of Coke and placing the rusted item inside for about 30 minutes. When the time is up, simply rinse the utensil with water and wipe it clean. You will find it looks as good as the day you bought it. This also works with rusted wrenches and other metal tools. It works so well, some people keep a six pack under the sink next to other cleaning supplies. Of course, once you see it strip years of rust from a wrench, you may start to wonder what it’s doing to your stomach. Paper Towel Tube: Frustrated with trying to clean small spaces regular vacuum attachments can’t reach? By taping a paper towel tube to the end of your vacuum, the tube’s flexibility allows you to reach into narrow spaces such as vent registers or under the fridge. This hack also allows you to clean delicate items such electronics or glass without worrying about scratches. Damp Dustpan: Use a spritz of water to keep floor sweepings in the dustpan. 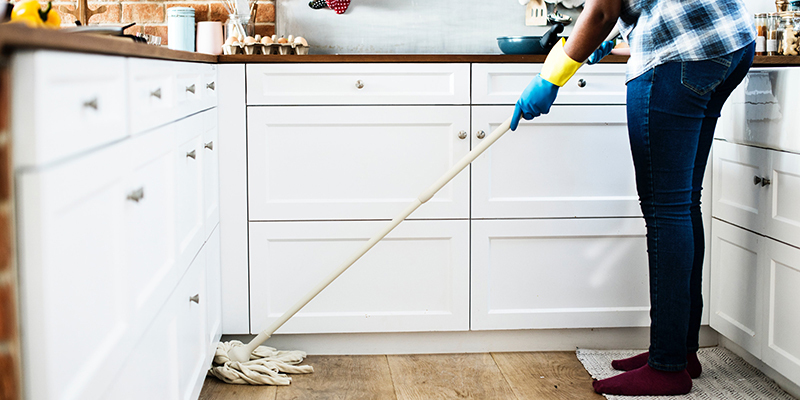 It seems counterintuitive to spray a dustpan with water and turn dust and dirt into mud, but a small spray will help keep those particles from flying into the air and inevitably landing back on the floor. The same goes for pet hair, notorious for flying out of the pan as soon as you finish gathering it. When you get to the trash can, simply wipe out the pan with a paper towel. Nail Polish Remover: This item does much more than remove nail polish from nails. It also removes permanent marker from smooth surfaces such as countertops and glass. Remember it is not recommended to use nail polish on finished wood surfaces. Lemons: Hands down, these little yellow fruits make one of the best natural cleaners. One great trick includes cleaning the dried food inside a microwave. Place fresh lemon peels in a glass bowl of water and then microwave on high for five minutes. Using a damp paper towel or dishcloth, wipe the inside of the microwave clean. Lemons can also be used with baking soda and water for an excellent and natural surface cleaner. Vinegar: Cleaning soap scum and lime buildup from your shower head is never easy. Stop scrubbing and simply pour some vinegar into a bag and then secure it to the showerhead with a string or rubber band. Wait thirty minutes before removing the bag and then run the shower for several minutes to rinse out any excess vinegar. For more information about cleaning hacks from the experts at Clean Corners, please contact us here or call our office directly at 616.431.4670.